The world's first totally wireless guitar amplifier. 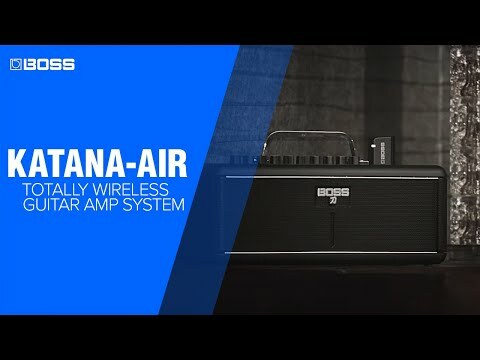 Featuring new cutting-edge wireless guitar technology developed by BOSS, the Katana-Air gives you the freedom to jam and practice without hassling with guitar cables. And with support for battery operation, there's no need to plug into AC either, so you can literally play anywhere. Though compact in size, the Katana-Air is serious about sound quality. Equipped with pro amp tones and effects from the performance-class Katana amplifiers, this wireless wonder delivers premium guitar sounds for any style of music. To further extend the cable-free experience, you can wirelessly edit and organize sounds with a dedicated app and jam with songs streamed from your smartphone. With the innovative Katana-Air and your favorite axe, casual playing has never been more convenient and inspiring. Features: Totally wireless guitar amplifier with newly developed BOSS technology delivers rock-solid sound with ultra-low latency. Custom wireless transmitter plugs into any electric guitar and charges while docked in the amp. Transmitter provides 12 hours of playing time on a single charge, and automatically enters standby mode to conserve the charge when no activity is detected. Always ready to play, with motion sensing technology in the transmitter that instantly wakes the amp from power-saving standby mode. Premium tones derived from the Katana stage amplifier series, with five unique amp characters and access to over 50 world-class BOSS effects. Six onboard memories for storing favorite amp and effects setups. Powerful stereo speaker system with full-range sound and up to 30 watts of power*. Edit and organize tones wirelessly with the BOSS Tone Studio app for iOS and Android mobile devices. Play along with music streamed wirelessly from a mobile device via Bluetooth®. Amplifier powered by eight AA-size batteries or included AC adapter. Aux in for connecting wired devices, plus headphones/recording out for silent practice and music production. The Katana-Air produces 30 watts of power when connected to AC, and 20 watts of power when running on batteries. 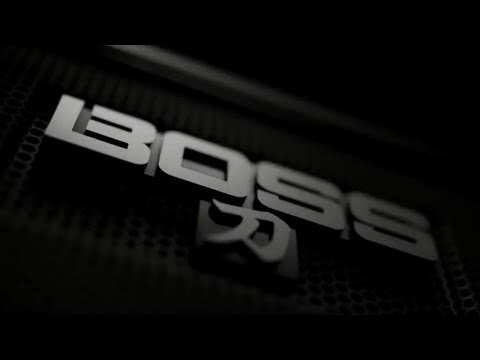 Do you own Boss Katana-Air or have you had a chance to try it?